On Saturday, November 11, 2017, two local businesses came together for one special purpose. Veteran’s Weekend seemed like the ideal time for Tehachapi Martial Arts Center and Indian Hills CrossFit to take part in a fundraiser benefiting the Wounded Heroes Fund of Kern County. TMAC kids participated in a kick-a-thon for 30 minutes and raised $1,453.00 while IHCF kids participated in a burpee-a-thon for 10 minutes and raised $943.50. All the kids worked very hard to come up with a grand total of $2,396.50 for the Wounded Heroes Fund. 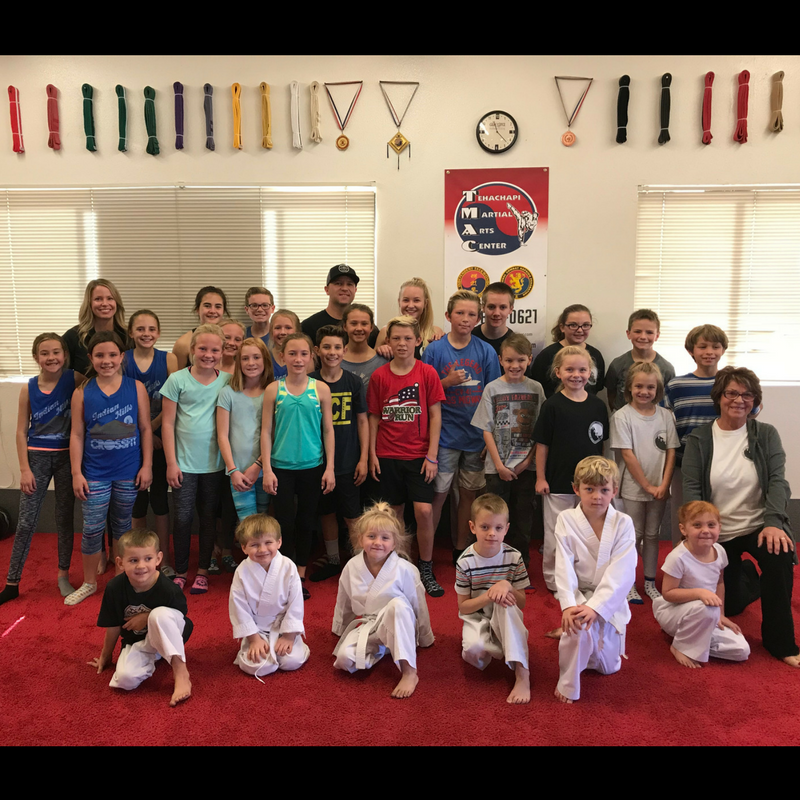 Ivan and Maria Jadric have owned the Tehachapi Martial Arts Center for 27 years and have donated to this cause before. Rryan and Jennifer Kingsbury are the owners of Indian Hills CrossFit, which has been open for 6 years now. The two businesses wanted to do this event to show just how much the community can accomplish while working together. Many friends and family of the kids generously donated and also came out to cheer them on. Other members of the community donated including Albertsons who provided hotdogs for the day, which made for a very successful event.